SLR offers services at all stages of the oil and gas value chain; from exploration & production through to end-user markets and planning for end of asset life. Our multi-disciplinary teams work across the globe, and with a broad portfolio of project experience to draw upon, SLR is ready to help. With over 20 years of oil and gas industry experience, SLR has developed a deep understanding of the operating, regulatory, commercial, economic and technical contexts of the world’s oil and gas provinces. Working with energy majors, independents, national oil companies, financiers and governments on projects as diverse as the establishment of petroleum licensing systems, ESIAs, exploration support, field production enhancement, oil spill waste management, process safety, transaction due-diligence, carbon trading or expert dispute support, SLR’s capability list is extensive. Throughout the energy development life cycle, SLR is focused on providing the highest quality, independent technical and advisory services to add value and manage risk. This philosophy is central to all client projects, whether utilising our extensive technical capabilities in health, safety and environment, or benefitting from our experience of the $10 billion of asset assessments, valuations and transactions we support each year. So whether your challenge lies in the Upstream, Midstream or Downstream space, our team is ready to help. To learn more about our capabilities, or to discuss a specific project challenge, please contact the appropriate regional representative below. 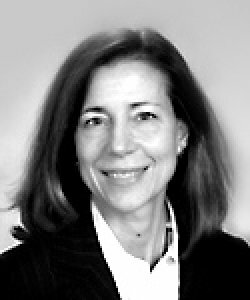 Lisa Haas is SLR's global sector lead for Oil & Gas. She has over 30 years' of experience specialising in oil and gas as well as mining industries, including exploration and production, pipelines, refining, chemicals, retail and shipping. She has worked to improve or implement environmental, health and safety (EHS) systems and compliance processes for clients around the world, including the United States, Canada, Africa, Asia, Middle East, Europe and Russia. 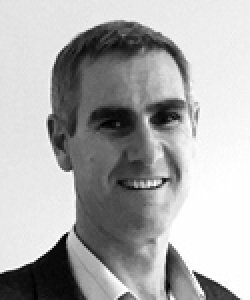 Andrew has 24 years’ experience in international Environmental and Social Impact Assessment (ESIA) and Environmental and Social Due Diligence (ESDD) gained in the Oil and Gas, Power, Infrastructure and Urban Development Sectors. He has worked in Europe, Asia, the Middle East and Africa. His areas of experience covers: Environmental and Social Impact Assessment, Environmental and Planning and Management, Environmental and Social Due Diligence, Compliance, Training and Policy work. Mark is responsible for overseeing and providing direction on various environmental projects in the oil and gas sector which have involvement from a range of specialist technical skills including noise, vibration, air quality, land quality, water quality, occupational hygiene and HAZMAT, ecology and waste management. He has approximately seventeen years’ experience as an environmental consultant and as a project manager/project director. This has included management of numerous multidisciplinary environmental teams with the view to preparing environmental impact assessment reports for submission to regulatory agencies. 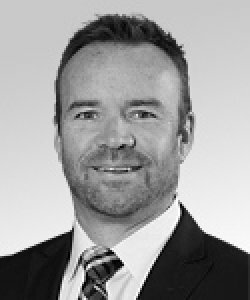 Rob Traynor is the National Director and Managing Principal for Oil and Gas in Canada and is based in Calgary, Alberta. 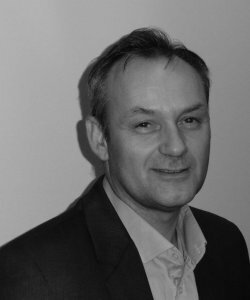 Rob has spent the majority of his career in the Environmental marketplace and brings to SLR over 20 years of experience in Strategy, Client Relations and Operational Management. In Canada Rob leads a team of knowledgeable oil and gas practitioners who work collaboratively to understand client needs and deliver well managed, practical solutions for our clients. Rob is passionate about Client Satisfaction and relationships and is an active member of the Oil and Gas community in Canada. Mr. Turley has over 35 years of experience that includes production/operations, EHS management, and global transaction advisory services. His experience focuses on the needs of strategic and financial buyers for complex deals in the refining, chemicals, and heavy industrial sectors. He has managed the EHS due diligence on a wide range of global industries and his clear understanding of the issues encountered by buyers, sellers, and financial institutions allows him to provide advice instrumental to successful deal completion.